Sept. 20 marks the 67th annual Emmy awards, which means that all of our favorite TV stars will gather together in their couture gowns and tuxes to commemorate one another's achievements in television. So what better time to have a throwback moment to Amy Poehler's first Emmy's dress? If you're anything like me, you are most excited to see the event's red carpet fashion, and Amy Poehler is undoubtedly one celebrity whose style will be on point. Considering Poehler has been a comedy extraordinaire beloved by pretty much everyone since her Saturday Night Live days beginning in 2001, she's definitely well versed when it comes to making appearances at awards shows. This year, she's also nominated for the Lead Actress Emmy for her role as Leslie Knope in Parks and Recreation, and I'm sure she'll bring out all the stops in celebration of the honor. Part of what makes Poehler's red carpet appearances so special, IMO, is that she never seems to take herself too seriously. 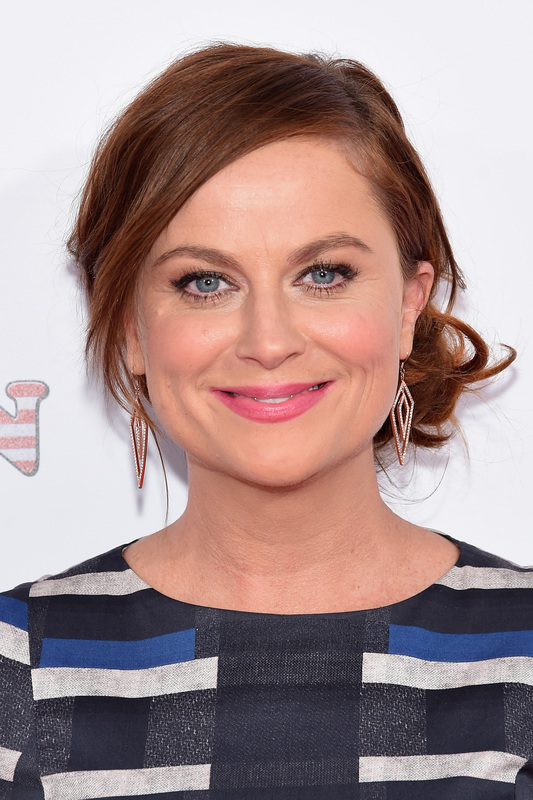 Poehler has actually yet to win an Emmy, despite 16 nominations throughout the years. She's so famous for losing that she even hosted a "losers only" afterparty with fellow frequent Emmy loser Jon Hamm. The 44-year-old actress, comedian, director, and writer also participated in what was an incredibly cute acceptance speech swap with Julia Louis-Dreyfus (who she lost an award to) back in 2012. Throughout it all, her sartorial choices have been been just as delightful as her sense of humor. Poehler made her first appearance at the Emmy Awards in 2006, during her SNL days. She wore a sleek little black dress for the occasion and looked extraordinarily elegant. The classic and minimalistic qualities of the gown make it a truly timeless piece. With the blue tie accent at her waist, she also evokes a certain kind of pinup glamour. I just love that the understated choice seems to so represent Poehler's down to earth character. Some might call her first Emmy's dress a "safe" option, and perhaps in some respects it was. But in this case, "safe" translated to "just perfect."